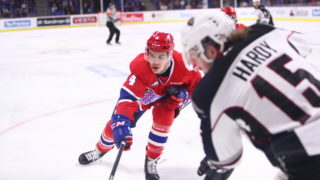 EVERETT, Wash. – Kailer Yamamoto scored one goal and picked up three assists to lead the Spokane Chiefs to a 4-1 victory over the Everett Silvertips on Wednesday night in Everett. 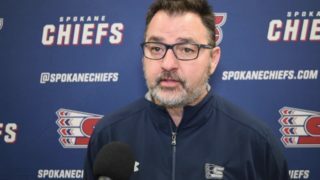 With the win, the Chiefs remained nine points back of Portland for the final playoff berth in the Western Conference after Portland defeated Vancouver on the same night. Spokane took a 1-0 lead in the first when Jaret Anderson-Dolan scored his 34th goal of the year at 11:17 of the period. The goal was Anderson-Dolan’s team leading 13th power play tally of the season and was assisted by Yamamoto and Hudson Elynuik. The Chiefs out-shot Everett 14-7 in the first. Spokane would extend the lead to 2-0 on Yamamoto’s team leading 36th of the year from Anderson-Dolan and Elynuik at 17:25 of the second period. The Chiefs out-chanced Everett 12-4 in the second. The Chiefs would take a 3-0 lead just 1:13 into the third period on Elynuik’s power play goal, deflecting a Keanu Yamamoto shot on a 5-on-3 advantage. Kailer Yamamoto got the other assist. 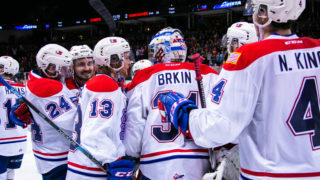 Everett would get four-straight power play chances later in the third and would convert off a 5-on-3 on a Riley Sutter goal at 13:35 to break up Spokane goalie Jayden Sittler’s shutout bid. The Chiefs would cap the scoring with an empty net goal from Riley Woods on Kailer Yamamoto’s third assist of the evening at 17:34. Spokane withstood a 22-7 shot advantage from Everett in the third to pick up their fourth win over Everett in 7 chances this season. 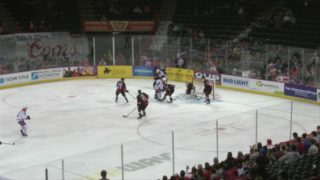 The Chiefs finished 2-for-6 on the power play and 4-for-5 on the penalty kill as the shots were even at 33 in the game. The team will head to Victoria, B.C. for games 2 and 3 of their four-game road trip this Friday and Saturday nights. 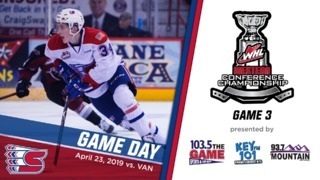 Mike Boyle will have the call on 1510 KGA on Friday night with the pre-game show at 6:30 p.m. and the puck drop at 7:05 p.m.
Spokane’s next home game will be on Wednesday, March 8 against Everett. It will be another TicketsWest Player Magnet Giveaway Night as the first 1,000 fans through the gates will receive a refrigerator magnet featuring a Chiefs player. 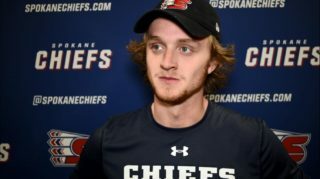 Tickets for March 8 and all remaining Chiefs’ home games are available in-person at the Chiefs’ Ticket Office, over the phone at 509-535-PUCK and online at ticketswest.com or spokanechiefs.com.